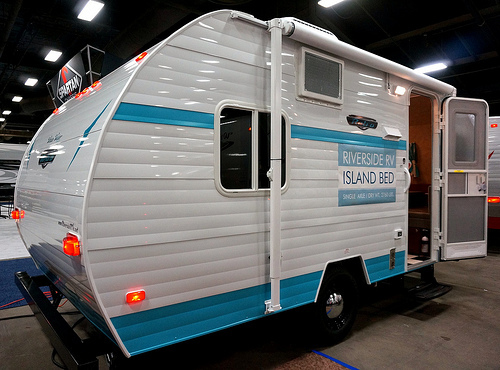 LaGrange, Indiana based Riverside RV has announced a new addition to their White Water Retro lineup. The popular 177 floor plan will be the basis for a Special Edition model that will hit dealer showrooms in the coming months. 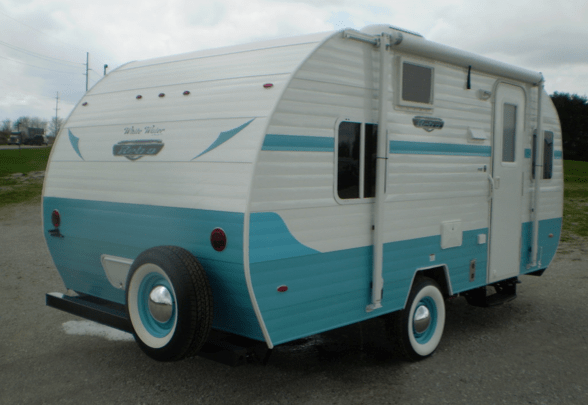 Additional features to the newly named 177SE will be a new paint scheme with three color options, whitewall tires, birch interior, upgraded LED exterior lighting, and wheels painted to match the trailer’s color. 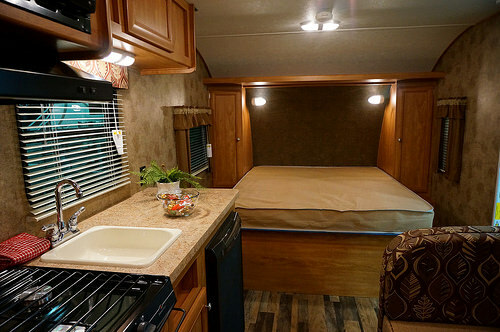 This looks like it will be a very popular addition to the Retro lineup, and I’d venture to say it’s an answer for those who’ve had concerns about the 1961 Shasta Airflyte reissue’s sleeping set-up, as the White Water utilizes a rear island queen bed and front dinette. 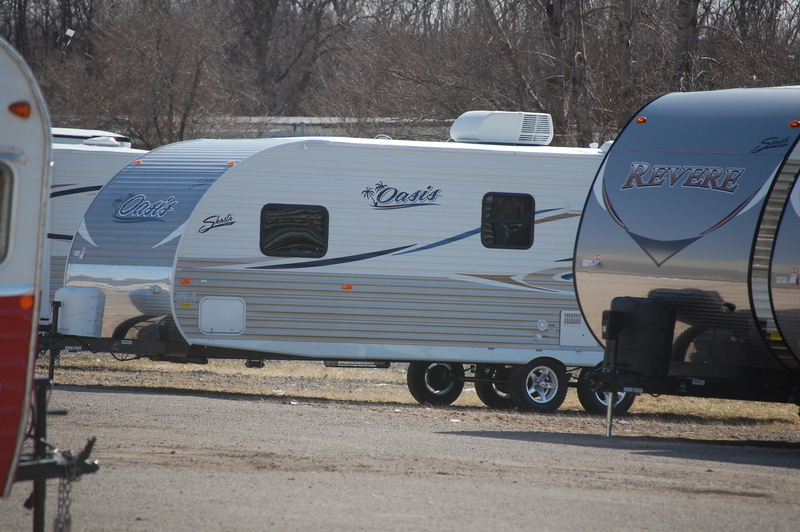 I’ve got a call out to Bob Taulbee of Riverside RV, so once I get more info, I’ll post it here. Stay tuned! As some of you who follow along know, we became trailerless 2 months ago when we sold our 2010 Serro Scotty HiLander that adorns the heading of the website you’re reading. Since we were expecting grandson #2 (arrived March 22! ), my wife & I realized we’d need a little more room for the four of us than the 15’9″ Scotty allowed. 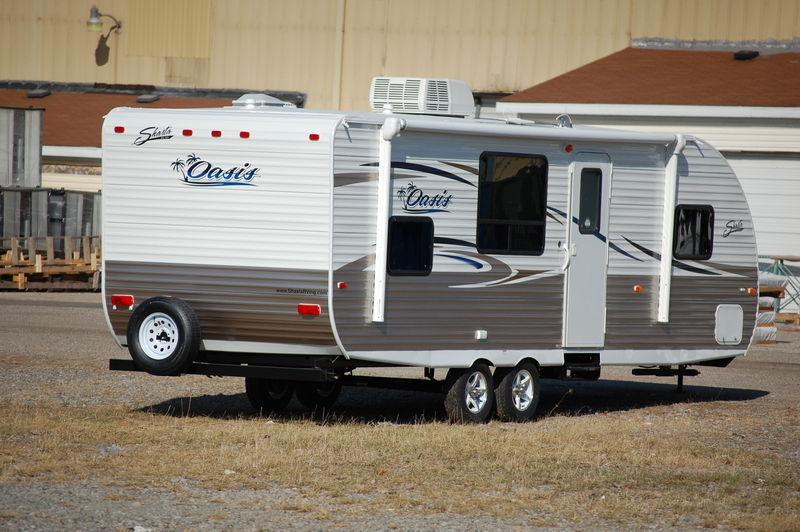 We chose a Shasta Oasis 25BH, which compared to the Scotty is a 28’11” behemoth. 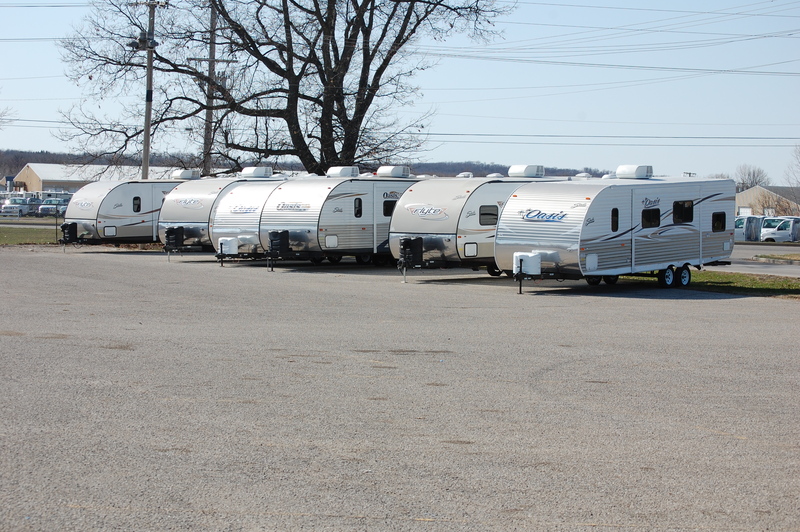 I had a lazy Sunday on this Easter holiday, so I decided to drive up to Middlebury, Indiana to poke around the Shasta RV factory. 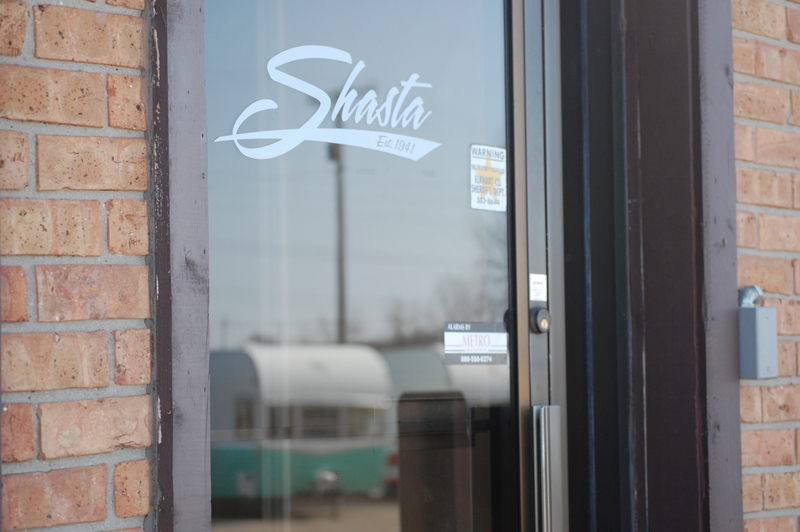 They weren’t open, but there were plenty of new Shastas up in front for anyone to stop by and look at. We are close to getting our Oasis as I type, but whether it was still at the factory or in the hands of a shipping company wasn’t quite clear. However, my trip all but clarified its whereabouts. 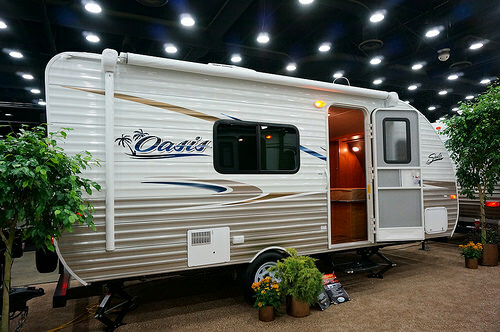 The 25BH isn’t one of the most sought after floorplans in the Oasis line. 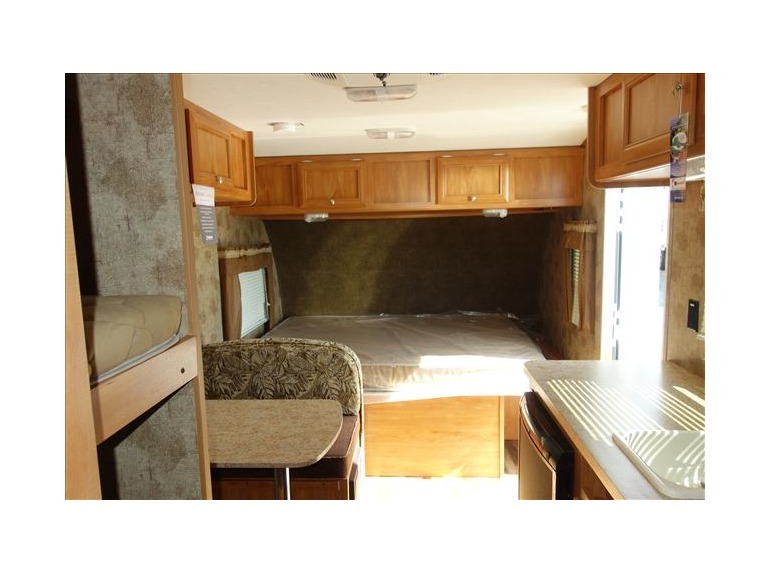 But we liked it based on our needs and it has a good price point. However, one thing I did spend a little extra on for it were the wheels. 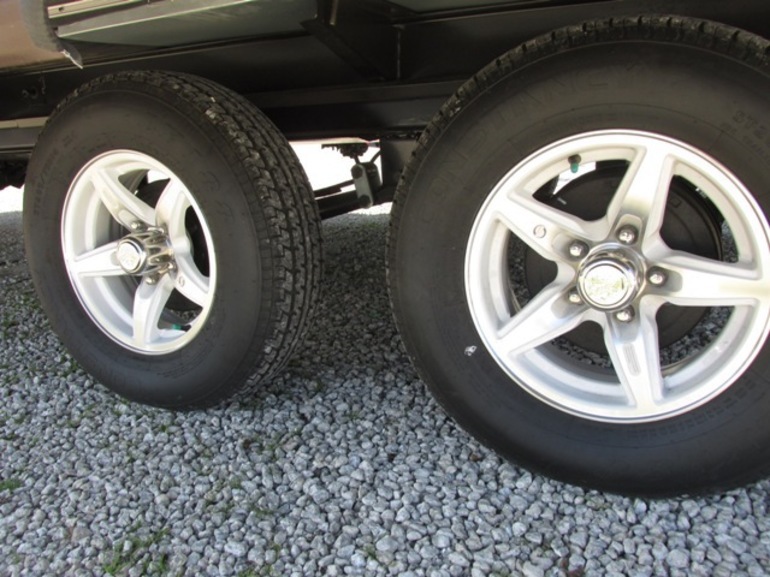 The only thing an Oasis comes with are these standard white steel RV rims, which lack a bit in appeal…. 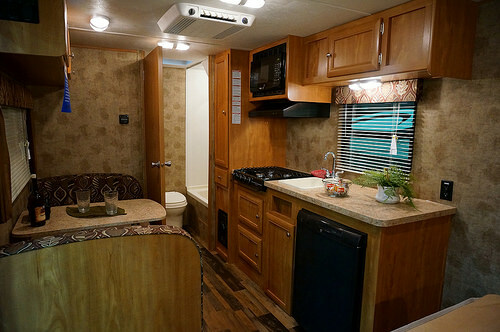 However, the Shasta Flyte, which is similar to the Oasis but come with fiberglass siding instead of aluminum plus a few extra standard features, has optional mag wheels. 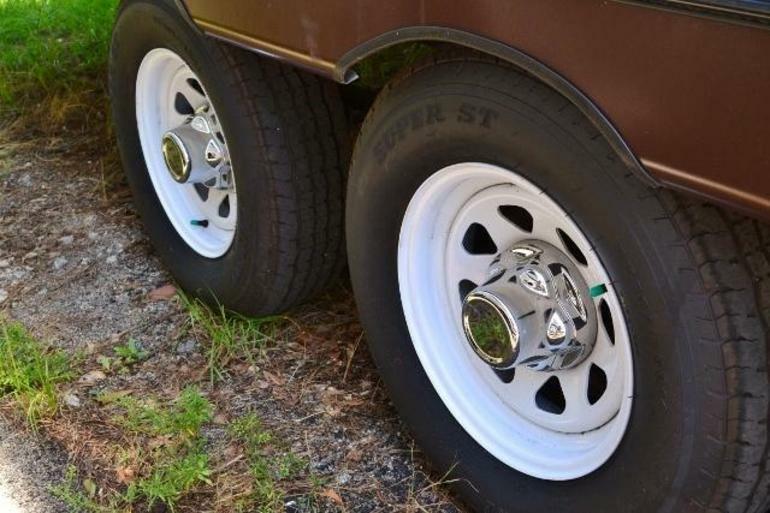 I thought I’d ask if it would be possible to upgrade the Oasis’ rims to the optional Flyte mags and that got the OK from the Shasta folks. Chances are it just might be the only new Oasis with mags on it. With that in mind, I thought I’d kill a day and a few gallons of gas and head up US 31 to the RV hub of the world, Elkhart County, Indiana. 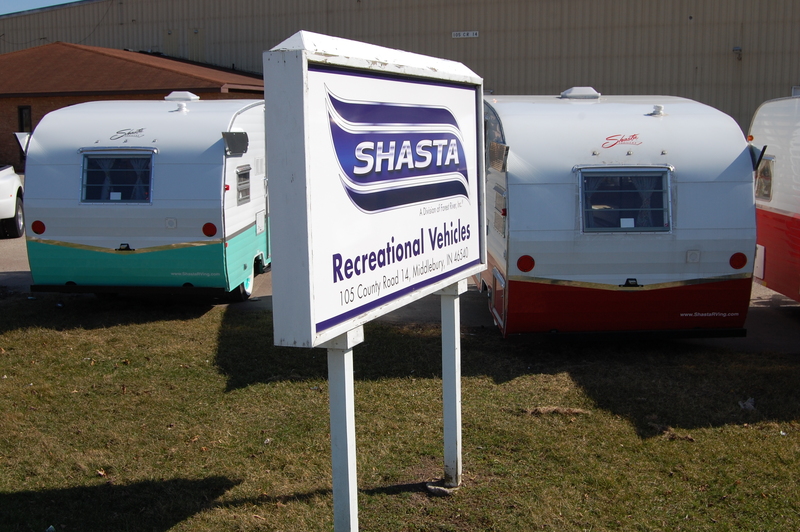 All I had was an address to the Shasta factory and the hope that maybe I’d get a glimpse of a Shasta somewhere. I got more than I bargained for. As I mentioned above, several Shastas are parked out front for anyone to look at. 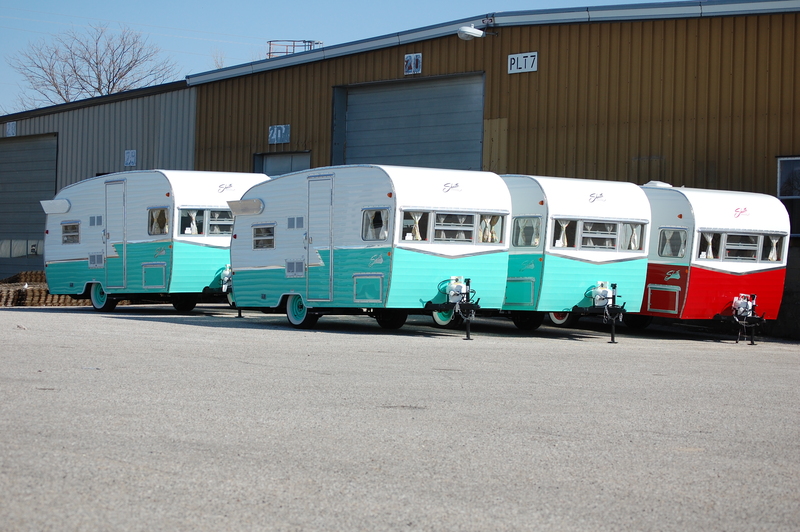 Many Airflyte reissues where on hand in both the 16′ and 19′ models and all three color schemes were parked out as well awaiting their shipment. But what I saw back beyond a locked, barbwired fence is what made my heart skip a beat. In the distance was a new Oasis 25BH….with mag wheels. I figure I’m probably the only guy out there requesting that floor plan with mags. 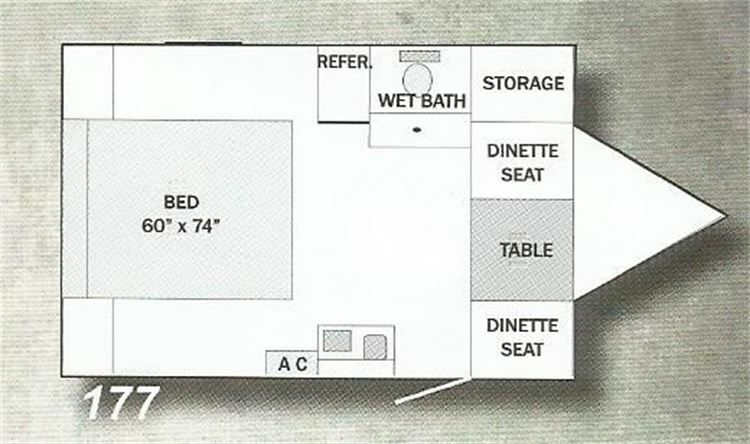 It also had the optional exterior shower we ordered, so I knew at this point I’m looking at our trailer, although from a couple hundred yards away. 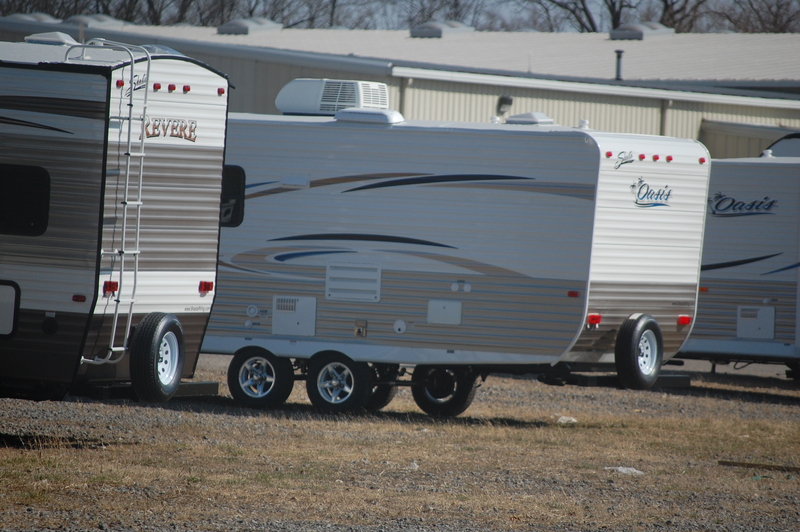 I took what pics I could of it from the front side and rear side, although both were partially blocked by a much larger Shasta Revere. Being somewhat satisfied with the photos of it I took through a barbwire fence, I found an office building to the west of the lot that gave me a much better vantage point from the rear. So there it is. 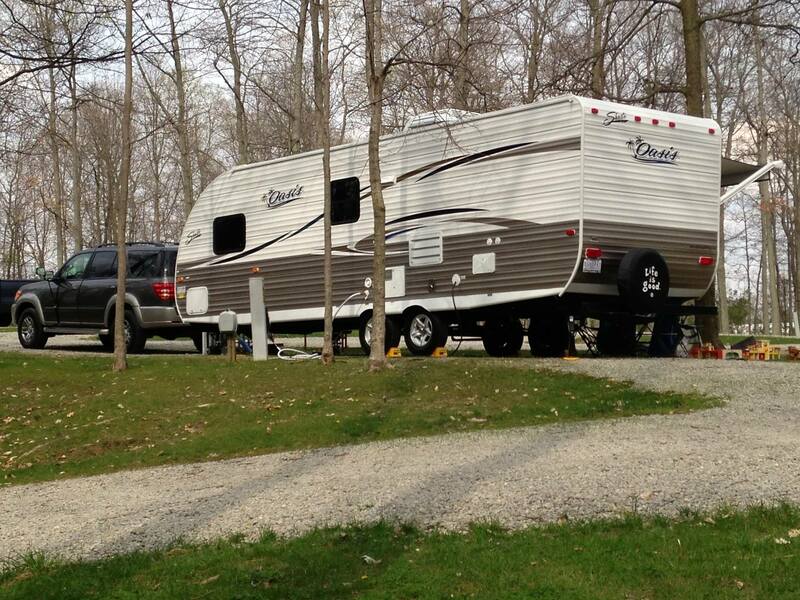 The beast that I’ll be towing for years to come and making some good memories with the two grandkids. 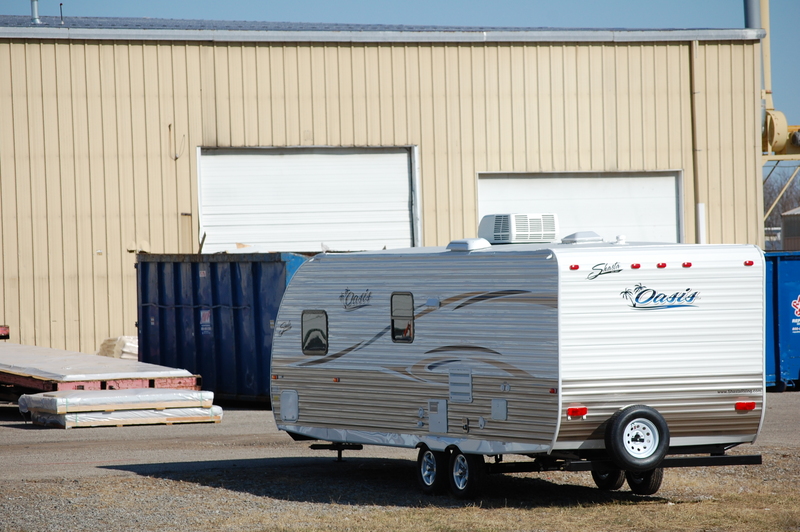 It’s not small by the standards of what I cover on The Small Trailer Enthusiast, but we all know how life tends to change things. But rest assured, I’m still here seeking out new and interesting small trailers and news to keep you updated on the latest & greatest relating to small trailers.